Don Drolet has been practicing and studying Qigong and Tai Chi for over 10 years. Don has been a student of Eastern philosophy, with a personal meditation practice of more than 20 years. He has taught in and around the Pittsburgh Metro area for health clubs, corporate wellness programs and community organizations. He established Standing Crane Tai Chi, Qigong and Meditation in January of 2017. Standing Crane offers private sessions, group classes and corporate wellness classes/programs (see www.standingcrane.com for class times and locations). 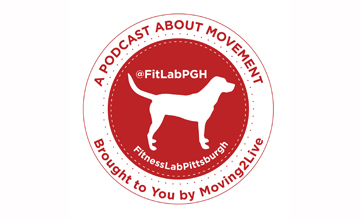 For more information about Don Drolet, visit www.standingcrane.com; listen to the FitLabPGH Podcast featuring Don Drolet released May 14, 2017 (focusing on tai chi); or connect with him using the Social Media links below. Info videos on acupuncture and cupping as part of the toolbox for injury rehab and a fall recipe that is healthy, quick, easy and has only 4 ingredients!! Francie Desmone is an expert in women’s health specializing in Mastering Menopause. The owner of Navigating Wellness LLC, she works with women over 40 she treats hot flashes, insomnia, and weight gain. Clients have traveled hundreds of miles for her kind, compassionate care healing physical, mental, and emotional stress. Credentialed by UPMC and clinical faculty at Magee Women’s Hospital since 2013, Francie is a graduate of the New England School of Acupuncture and Duquesne University where she studied Philosophy and Art History. She studied the Balance Method with Dr. Tan and Sports Medicine with Matt Callison. Previously certified as an EMT and Wilderness First Responder. Currently she is in training to become a certified coach and facilitator with Feminine Power @ evolving wisdom. For more information about Francie Desmone, visit http://www.navigatingwellnessllc.com or connect with her using the Social Media links below. The Strength and Conditioning Journal is the professional journal for strength coaches, personal trainers, physical therapists, athletic trainers, and other health professionals working in the strength and conditioning field. The journal’s mission is to publish articles that report both the practical applications of research findings and the knowledge gained by experienced professionals. The Allegheny Cycling Association (ACA) is a Pittsburgh-based, USAcycling-registered bicycle racing club that provides road bike, mountain bike and cyclocross racing opportunities in Western Pennsylvania. The ACA is made up of approximately 150 men and women from Western Pennsylvania, Eastern Ohio, Northern West Virginia and Western Maryland and consists of USAC-licensed riders, coaches and mechanics as well as non-licensed riders and supporters. The year 2017 is the ACA’s 46th Anniversary and 47th Racing Season. RAGBRAI is an annual seven-day bicycle ride across the state. Heading into its 45th year, RAGBRAI is the oldest, largest and longest recreational bicycle touring event in the world. This week a few ideas about making movement more fund and a priority along with a tip from Coach Menachem Brodie of Human Vortex Training that is simple, but good. Check out our interview w Menachem releasing this Sunday, Oct 8, 2017. Brian Oswald is a Board Member of the South Side Slopes Neighborhood Association and the chairperson of the Pittsburgh StepTrek, an urban hike through the South Side Slopes on the public steps held on the first Saturday of October every year. This year (the 17th year of the StepTrek), the event is on Saturday, October 7 from 11am-4pm; the event begins at South Side Park (Josephine & 21st Street). Brian moved to Pittsburgh from Central PA in 2004; his country boy outdoorsyness drew him to the hillsides, and his preference for walking or biking (rather than driving) drew him to an urban neighborhood. The South Side Slopes neighborhood is the perfect combination of urban convenience and outdoor hillsides (and includes the 65-acre South Side Park). The South Side Slopes neighborhood has more public steps than any neighborhood in the world, and the South Side Slopes Neighborhood Association wants people to be able to experience them now and forever. The two StepTrek routes will take a tour of the hillsides and spectacular views that distinguish Pittsburgh. The family-friendly event combines photography, historic narrative and a sense of a neighborhood dependent upon steps. Each pre-registered trekker receives a map and a course narrative. For more information about the StepTrek, visit www.steptrek.org or connect with them on Facebook using the Social Media links below.